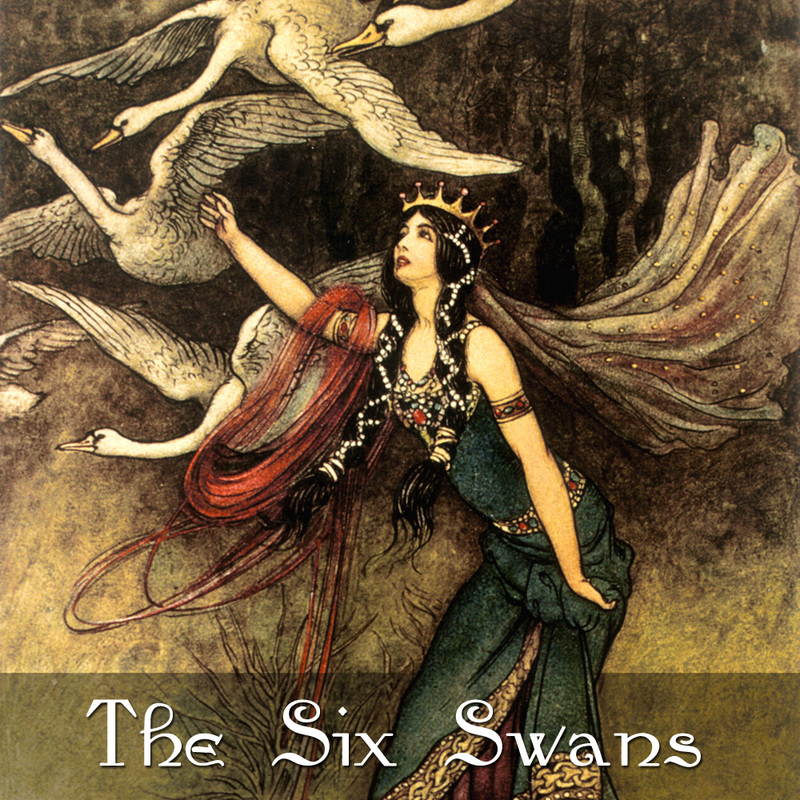 The Six Swans is a tragic tale of six young princes turned to swans by their wicked stepmother and condemned to roam the skies for eternity. No more shall you wear your father’s crown. whilst you poor creatures the wild world roam. Yet you will carry all your days, the memory of your princely ways. Only their sister can free them from the dark magic that possesses them and restore them to their rightful human form.
" .... a beautiful rendering of a magical story that takes the listener into an enchanted world where dark powers are overcome by the devoted love of a sister for her brothers. Anne Maria's voice is beautiful and she tells it beautifully and poignantly, drawing the listener into the story and its unfolding. Many congratulations in creating such a moving rendering of one of the great fairy tales." - Anne Baring author of The Dream of the Cosmos: A Quest for the Soul.